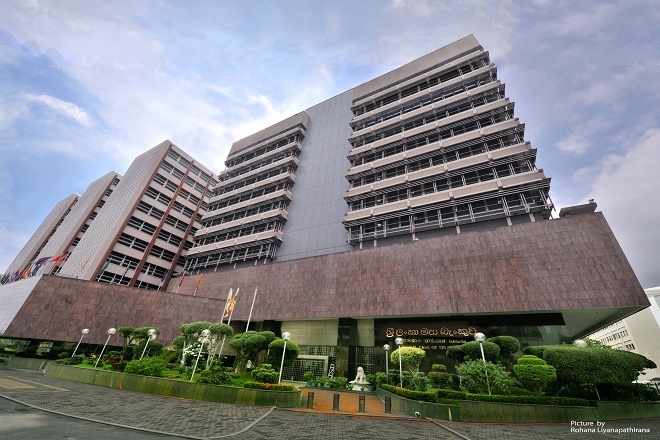 May 05, 2017 (LBO) – The Central Bank of Sri Lanka, on behalf of the government, has successfully priced a 1.5 billion dollar 10-year International Sovereign Bond on Thursday. The bonds have been rated ‘B1’, ‘B+’ and ‘B+’ by Moody’s Investors Service, Standard and Poor’s and Fitch Ratings respectively. “This marks Sri Lanka’s eleventh U.S. dollar benchmark offering in the international bond markets since 2007 and is a clear testament of the international investor community’s continued support for Sri Lanka through the years,” a statement said. Citigroup, CITIC CLSA Securities, Deutsche Bank, HSBC, ICBC International, J.P. Morgan and Standard Chartered Bank acted as the Joint Lead Managers and Bookrunners on this transaction. The transaction with an initial price guidance of 6.625% area was announced during the Asia morning of May 4th, 2017, and saw strong interests from a wide range of high quality investors, allowing Sri Lanka to tighten final price guidance to 6.250% area (+/-5 basis points) at the Asia evening on the back of books which were in excess of U.S.$7.5 billion. The Bonds eventually priced during New York hours at 6.20% reflecting a 42.5 basis points compression, well inside the initial price guidance for a final transaction size of 1.5 billion US dollars. Geographical distribution was well diversified, with 58% of the final allocations going to the U.S., 22% to Europe, and the remaining 20% to Asia. By investor type, the split was 83% to fund managers, 9% to banks, 5% to insurance and pension funds, and the remaining 3% to other investors.